I have been taking some leave over the past three weeks and spending time in Hungary, Austria and the Czech Republic. It is great to have been able to spend time in this part of the world that has given to western culture so much that is important – especially music. But it is also good to be able to step aside from the swirl of New Zealand, small, geographically remote and insular in the ways that islands are. It has been a bit of a surprise to arrive back in the midst of what must surely be the most bizarre sporting event we have seen in a long time and to see the extravagant claims being made for its importance. Although wireless internet access is everywhere in the countries visited so while access is easy there are many ways in which you do lose touch with some of the issues. This is not a bad thing. But I am aware of several issues that have arisen. The first is an intention expressed by Minister Hekia Parata to look seriously at the whole business of decile ratings and to consider the usefulness going forward. I have long felt that decile ratings have past their use-by date. Well intentioned, welcomed when introduced, they have quite simply failed to deliver the intended impacts and have instead developed a range of unintended impacts. I understand that about 4% of school funding is actually related to decile rating and yet the expectation was that by having a multi-factor means of determining the relative load of socio-economic circumstance carried by different schools would enable funding to reflect need more equitably. It hasn’t done this for a couple of reasons. First, there are needs among students with “low decile profiles” who are hidden in middle and higher decile schools that are not met and, secondly, the needs of schools with “low decile” profiles do not increase on a flat line basis but rather exponentially. The failure of the school decile rating system is in large measure due to the formulaic manner in which funding is delivered to schools. Until schools receive cashed up funding based on the entitlement of individual students which they are then accountable for meeting, the inequities embedded in the current funding model will continue. But there is a danger. If the changes when they do happen result in a shift of what funding does finds its way into “low decile” schools, the issue will be exacerbated. The recent high levels of accessing NZQA special assistance for students in a high decile independent boys schools is a recent incidence of this. A more historic example was the removal in the 1970s of the additional staffing allowance for Maori students on the basis that schools would be better off. Yes, all schools got a little more but schools with significant numbers of Maori students were relatively worse off. The second issue was one I was pleased to be about as far away from it as it is possible to get. The announcement of the successful parties for the partnership schools produced, it seems, the anticipated range of tired old arguments against the development based on prejudice, ignorance of the situation in other countries and the fear of innovation. But what was notable when catching up on some reading was the much clearer rejection of such opposition to partnerships schools by opinion from outside education. It looks as if the default-oppose-stance that characterises so much reaction to new ideas has been seen through for what it really is – patch protection and continued denial that the current system is not meeting the needs of all young people. The reaction of many seems to be along the lines of “let’s see whether this different way of working will increase success for more students.” This is the fundamental basis on which the development has been promoted. The item that I had missed – understand that New Zealand does not rate a mention in the media in Eastern Europe, not even rugby or the America’s Cup. Early in September Minister Stephen Joyce made a thoughtful contribution to the discussion of tertiary education (more on this on Thursday). What leapt out for me was the announcement that Youth Guarantee would be extended to 19 year olds, up one year from the current limit of 18 years. This is the completion of the move to a more equitable situation where students, having reached the age of 16 years that signals the end of compulsory schooling, are able to access the resources that are theirs to continue their education for a further three years. This is an entitlement that students already had provided they remained in a school setting regardless of their panned intentions, levels of success or even interest. In such a situation, worldwide, too many students vote with their feet. It is exciting to return from a period away and get back into the flow of things. When NZ swimming star Lauren Boyle met with outstanding success earlier in the year, our associate principal dropped her a line and invited her along to our school. She said that she would love to come and recently she took time out from her intensive training schedule to speak at our weekly assembly. We felt truly privileged to spend some time with one of our most successful swimmers. In 2 weeks of world class performances in August, she won 3 medals at the World Championships, followed by 2 gold and 2 silver in 5 days in the World Cup and a clutch of records in the process. As you might anticipate, the theme of her talk was about drive, determination and character. Lauren started swimming when she was 5 years’ old and joined a swimming club when she was 8. She had several other hobbies as well, but when she turned 11, she had to decide about whether she could fully commit to swimming, or not. In her time with us she spoke about her own rewards, that she is proud of her achievements and that she really wanted to get a medal. She spoke warmly about her swimming family community and her “teamy community” that started at school. She described the friendships she has made and that being part of a sporting community that feels like a family “is just as rewarding as trophies and trips away”. One of her key messages was about being dedicated, motivated and determined and setting herself goals that challenged her. She referred to “hard goals that scare me” and how failing is just a part of learning. She has learned “to get up and get going again”. She spoke about having a positive focus and urged our students to have something strong to work towards and that setbacks don’t have to be negative. As I listened to her, I thought about her comments in relation to her personal rewards and her “hard goals”. I reflected on the importance of young people giving things a go, accepting defeat, picking themselves up and really striving to succeed. She told us that “there is no downside to setting goals that you may think are impossible. Chances are, even if you do not achieve what you set out to do, you will have rich experiences you can learn from and draw on in later life”. However, the key message for me was Lauren’s sheer ambition. It was very clear and almost tangible. I thought in turn, about the importance of the teachers and students in our schools being ambitious and setting what Lauren called “hard goals”. Recently our senior team consulted with Professor Glenda Anthony, Co-Director of the Centre of Excellence for Research in Mathematics Education at Massey University in relation to the current review of our school’s maths programme. The key take away message from our very worthwhile time with Glenda was around ambitious teaching. She spoke to us about the critical importance of teachers always teaching ambitiously and planning challenging learning tasks for their students. Lauren was very inspiring. Tall and gracious, smiley and kind, humble and sincere, and jam packed with all the qualities that we appreciate and admire in our kiwi sports stars. Her messages of ambition, determination and learning from setbacks were clear and simple. They were wonderful for our students to hear. Lauren is great kiwi woman with an equally great message. Over the past weekend we watched the Labour Party elect a new leader. Foremost in the minds of Labour Party members, we are told, was Mr Cunliffe’s sharp intellect and his perceived ability to “take the fight” to the government. On the face of it, this augurs well for the health of our democracy and will give the “political junkies” in this readership the prospect of a much enlivened year leading into the General Election. The popular wisdom in New Zealand is that elections are won or lost in the mid-range of voter preferences. For that reason it has often been difficult to distinguish the policy platforms of our two major political parties and for around 25 years there has been a significant public policy consensus between National and Labour in a number of areas. Both parties have been resolutely committed to the management of a low-inflation economy. In the Education area, the administrative blueprint originally called “Tomorrow’s Schools” has remained largely unchallenged since its inception. In 2006, Labour’s Education Minister, Steve Maharey seemed to flirt briefly with the idea of a wider system review with a particular focus on the performance and role of boards of trustees. The idea was quickly trounced by the then Opposition spokesman Bill English who pungently characterized the proposal as threatening, “all-intrusive centralized control of the education system”. Anti-bureaucrat rhetoric has long played well in the New Zealand electorate. With the memory of Trevor Mallard’s unpopular programme of school closures still haunting them, Mr Maharey’s Cabinet colleagues seemed to persuade him to quickly drop the idea. This was a shame. If there was ever an area of political consensus that seems worthy of close examination, it is the proposition that value in our public education spend is most likely to be extracted by distributing the control of that spend and in particular responsibility for the performance of the teaching work-force across more than 2,500 community boards. Currently neither of the major political parties would appear to have much appetite for reviewing the locus of school control or critically examining the impact on system performance. Mr Cunliffe’s success has been backed by promises to take the Labour Party to the left – an appeal to reinvigorating traditional Labour voters has also been central to the stump rhetoric for the top job. Within the party that bias will tend to reinforce locally elected school boards as an important expression of participatory democracy – they are after all the smallest unit of representation in our polity. On the government benches we can hardly expect a Prime Minister committed to lowering the numbers employed in government administration to have much enthusiasm for any move that appears to offer the prospect of diminishing school autonomy in favour of strengthened central bureaucratic control. For different reasons the ideological biases drive to the same place. There is little motivation for either Mr Key or Mr Cunliffe to disturb the administrative status quo. Yet that status quo is a fundamental impediment to creating the sense of national mission and unified purpose that is required to systematically address the embedded patterns of Maori and Pasifika underachievement that have exercised Education Ministers both in the current National-led government and the previous Labour-led administration. System fragmentation inevitably mitigates against system responsiveness. As examples, Ministers Parata and Mallard (despite political differences) are and have been articulate and worthy champions of the educationally marginalized. However, they have both been up against a lack of system coherence exacerbated by conflictual mind-sets that so often characterize sector-government relationships. As illustration, look no further than the tensions over the implementation of National Assessment Standards and the puzzlingly negative reaction in some quarters of the profession to the recent prospect of a nationally applicable moderation tool (PACT) to improve the consistency of teacher judgements in assessing those standards. Professional trust of government intentions (and vice-versa) often seems in unnecessarily short supply for a nation of our size. Both Mr Key and Mr Cunliffe are possessed of formidable intellects and motivations. They are very well educated. They have both enjoyed conspicuous personal success. Both men come from relatively modest family backgrounds and they both appear (albeit by different means) genuinely determined to create and foster the economic and social conditions that will maximize the life chances of New Zealanders. Given their backgrounds and as our two leading politicians they are well-placed to elevate the public policy debate in education. In the contest for the Treasury benches, it would be optimistic to expect Messrs Key and Cunliffe not to be embroiled in election-year pamphleteering and associated polemic. After all that’s their job. But polemic has its limits. It would be good to hear both leaders commit to the need to forge a new educational policy consensus focused on building high trust relationships with the profession and creating a genuine sense of shared educational mission for the nation expressed in a durable accord between government agencies, school boards, teacher professional groups and the unions. A good place to start would be cross-party endorsement of the proposed reforms to teacher professional credentialling being sponsored by the current Minister. The ideas are worthy. They deserve considered debate. For teachers the reforms appear to offer a genuine opportunity to control and enforce professional standards and develop a stronger professional voice. They seem likely to contribute to improved system intelligence and responsiveness. In the search for a new consensus, that seems a handy departure point. Nelson Mandela once famously said, “There can be no keener revelation of a society’s soul than the way it treats its children”. That is particularly true of our most vulnerable children. Indeed, one of the real indicators of whether a society can truly call itself “civilised” is the manner in which its most vulnerable and weak citizens are both perceived and treated. It is a sad fact that in New Zealand we have many vulnerable children and young people. In the 2012 year Child Youth and Family (CYF) received around 150,000 notifications of possible abuse or neglect of which 21,000 resulted in a judgement that substantial abuse and/or neglect was occurring. Over the last three years New Zealand has had some 3,800 children and young people living away from their homes in care. Also during the last three years there have been some 7,000 to 8,000 family group conferences each year held for young people who have come to the notice of the youth justice system. Many of them have also been in care and protection situations in the past as well. While this is all depressing enough, what adds to the problem is that if we are to look at the outcomes we desire for all of our children, such as educational success or good health, children and young people who are being abused, neglected, in care or have involvement with the youth justice system consistently perform poorly. In many cases very poorly. When we talk about vulnerable children, who are we talking about? Generally we are referring to those children and young people who have been or are suffering abuse of some kind, neglect, or who suffer from a range of mental health or conduct problem issues. In many cases there are co-morbidities such as the teenager who may suffer from a mental health condition and who is also addicted to alcohol or drugs. Often these children and young people end up in care of some kind or, because of their behaviour, offend and end up in the youth justice system. So what is the point of all of this in an education blog? The point is that there is much lip service that rolls off many tongues about how education is supposed to improve an individual’s life chances, to help them realise potential and to provide opportunities they would otherwise not have. Not for our vulnerable children it doesn’t. There is also much talk about the social and moral obligations that we have as a society to provide equal opportunities, or at least vaguely equal opportunities for all. Not for our most vulnerable children we don’t. There is also talk about how continued failure of groups such as most vulnerable cannot be sustained. Yet the cost keeps rising. The problem is that the education system is inconsistent at best in terms of the way it engages with our most vulnerable. Let me be clear – I’m not suggesting for one moment that this is easy stuff. Most of these children need considerable support, often quite intensive interventions, significant resources and very skilled staff. All of that said, many schools are marvellous and go the extra miles to keep children and young people in school, keep them engaged and provide programmes that will lead to success and further education. Some are luke- warm at best and are less than enthusiastic when presented with these children. Others simply don’t engage and refuse to enrol them. This is not good enough at a time when government agencies are striving to cooperate to a greater degree and work together on challenges such as this. If an agency such as Child, Youth and Family turns up at a school and says, “Here’s Billy, good luck” any principal would be within her or his right to point out that such a situation is setting everyone up to fail, and postpone any enrolment until the necessary support is in place. When, however, a school is approached to enrol a child or young person who has considerable support, safety plans and resources to assist them to succeed should a school be able to simply say no or equally make it clear that the child is really not wanted? I don’t think so. In New Zealand our schools exist for all children, not just some. Continued engagement and achievement in education is essential for the future success and development of any individual and to exclude them is removing a basic human right that should never occur except in the most extreme circumstances. Yet this is what we continue to do. It is high time that another look is taken at how our schools can and must engage with our most vulnerable. Unless we do New Zealand society’s “soul” may not bear too much close scrutiny. Seven out of ten of our senior secondary students in New Zealand will not attend University. Increasing student failure and youth unemployment has focused educators on creating multiple pathways with increased programme choices for senior secondary students. Student failure should not be an option for any of our senior secondary students. However, pathways development requires collaboration. We know that providing increased choices and student-centred learning rather than what works best for an organisation or continuing with the “status quo” requires new ways of working and problem solving in the secondary-tertiary space. The need for educators to collaborate with other providers, share resources and create individual learning pathways for each learner is paramount, to enable improved student success, if we are going to achieve the 85% government “Better Public Service Target” of all 18 year olds achieving NCEA Level 2 by 2017. High School leaders and management staff are now beginning to build sustainable partnerships with other educational providers with the assistance of the newly established Youth Guarantee Networks. Although over the last decade secondary schools have introduced Gateway and STAR programmes which have required staff to collaborate with tertiary providers and/or employers, the challenge now is to be able to implement these types of initiatives on a much larger scale. Youth Guarantee programmes such as Trades Academies, Tertiary Fees Free Places are examples of collaboration between secondary and tertiary providers over the past few years. For example, New Zealand’s first Tertiary High School (THS), (School of Secondary-Tertiary Studies) situated at the Manukau Institute of Technology was established in February 2010 with the aim of improving student outcomes for students identified as disengaging in Year 10 and likely to fail in a traditional school setting in Year 11. Implementing a mixed secondary-tertiary program has allowed for THS students to undertake NCEA Level 1, 2 and 3 while simultaneously gaining credits towards a tertiary qualification at MIT. Now, the THS is in its fourth year and the indications are that the THS students’ achievement, progression and transition into postsecondary education and/or work are demonstrating huge success. The THS student success has not just happened without enormous effort on everyone’s part. It required huge collaboration from all parties: the Ministry of Education, Tertiary Education Commission, Manukau Institute of Technology, surrounding secondary schools in the southern Auckland region, New Zealand Qualifications Framework, local community, whanau and students. But, there was a trade-off. For schools to identify students at risk of disengaging and to encourage them to apply to the THS, they knew that the school was at risk of losing a percentage of the funding for that student. This required faith and trust and a student-centred approach to managing the schools funds. The THS shows us that with determination and a student-centred approach that all other challenges such as funding or duty of care can be solved with the key stakeholders’ willingness to put student success at the top of the agenda. In an effort to improve collaboration amongst the various secondary-tertiary providers and the employers, the Ministry of Education has been establishing Youth Guarantee Networks throughout New Zealand with the key focus to create partnerships between schools, tertiary education providers, and training organisations and for this group to focus on developing a collaborative approach to increasing NCEA Level 2 achievement rates in their communities. In future, the Ministry of Education wants to also work with industry leaders, business advocacy groups and employers with the intention of improving the skills and competencies to respond to the local communities employment needs. In addition, the five Vocational Pathways (Social and Community Services, Manufacturing and Technology, Construction and Infrastructure, Primary Industries and Services Industries) developed in collaboration with the Industry Training Federation, released by the Ministry of Education are an important tool to assist students when making their choices for their future career pathway. Once fully understood by both students and education providers the five Vocational Pathways can be used not only as an achievement record and assisting with senior secondary school programme choices but the aim is to also use the Vocational Pathways as a diagnostic tool at an earlier age (perhaps Year 9) to ensure students see the benefit and purpose to their learning programme over time. While there are some challenges faced by all providers such as a lack of understanding of the Vocational Pathways, funding frameworks and what pathways should be introduced by each Youth Guarantee Network, for which students and by which provider, it is crucial for us as educators to put the student first in all of our discussions. Working collaboratively will assist our senior secondary school students on their pathway to successful transition from school to tertiary and into employment. Let’s try not to use the silo approach and continue to work together for the good of our students! This is the third piece in an occasional series about documents that have had in them important ideas and challenges to practices that prevailed at the time. The first was about the ideas of Phil Capper in the late 1980s and early 1990s (The Jagged Edge) while the second noted that the 1993 policy statement Education for the 21st Century, released during Dr Lockwood Smith’s watch, had ideas that we are only starting to grapple with now. In 1988 the Report of the Working Group on Post Compulsory Education and Training was published. This group, convened by Professor Gary Hawke, had been looking at what happens after the age of 15 years (the school leaving age at the time, across the variety of providers and ways of obtaining qualifications. The report, generally referred to as The Hawke Report, led to policy statements Learning for Life and Learning for Life 2. It is instructive that the focus was on “post compulsory” and that this point is a person’s educational progress, reaching the age of 15 years and therefore not compelled to remain at school, was seen as a key point from which educational responses could be planned. It also meant that the senior secondary school was placed into the mix of provision alongside other kinds of institutions (polytechnics, universities for instance) and different approaches to educating and training the young adult (such as on the job training). The definition of “postcompulsory” that the working group was given was not narrow and dry simply pipelining young people onto the floor of the factory or out into the fields. 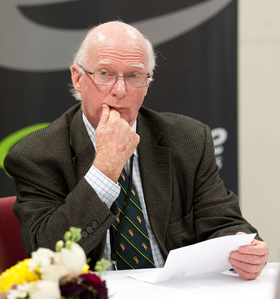 Hawke noted that the working group had worked on the basis that the definition, the definition which took in all state provision, private providers, both formal and informal opportunities, it was assumed to be “all-encompassing in the spirit of lifetime education for everybody in New Zealand” (p14). We seem these days to be even more troubled by the notion that the senior secondary schools is just one pathway forward at the post compulsory level and there seems an even greater desire to see the senior secondary school as being able to meet the needs of all learners for several more years after the point of compulsion. The Hawke Report discussed the idea of raising the school leaving age noting that 15% of the age “cohort left school within a year of their fifteenth year” (p21) and immediately noted that “the consequences for many schools of having to provide for significant numbers of reluctant returners would be significant.” The report went on to propose an “educational leaving age” requiring young people up to some age limit such as 18 to be in some form of education and training”(p22). Five years later the school leaving age was raised to 16 years! What a pity that the more challenging notion of requiring continued engagement with education and training wasn’t explored and the simplistic “school leaving age” approach which was, to be fair, favoured across the Anglo-Saxon systems was favoured. Another interesting recommendation of the Report was the suggestion that a ministry would be best grouped so as to be the Ministry of Education and Training. This might have avoided some of the distracting and misleading arguments that are still trotted out about the distinctions between “education” and “training”, an argument largely fuelled by the old hoary binary distinction between “academic” and “vocational”. It went further in ruling out as producing too many awkward divisions, the notion of a Ministry of Postcompulsory Education and Training on the grounds that it would “place an awkward division of responsibilities for the upper levels of schools” (p46). The truth in this is being played out currently through the attempts to provide success for more 15-19 year olds with initiatives that cross that very same “awkward division”. The Hawke Report gave impetus to the development of a national qualifications framework under the control of a National Education Qualifications Agency (NEQA) which would later come about as the New Zealand Qualifications Authority (NZQA). In fact the Report deals at some length with attempts to bring order into what was then a somewhat Byzantine collection of disconnected agencies, bodies, boards and authorities. While schools were a little outside the target of the Working Group, it did arrive at some conclusions about them. It noted a welcome trend for schools to be opening “paths for young people rather than administering successively more demanding barriers to further education” (p90) and sought to see this continued which would require, in its view, the “removal of barriers to students undertaking courses in more than one institution.” I wonder if this is the first appearance of this notion in an official document. It was later to re-surface in Education for the 21st Century and, twenty years later is starting to be actualised in trades academies, tertiary high schools and other such developments. The Hawke Report remains the most comprehensive consideration of postcompulsory education and training that we have. The brief dip into it here does not convey the breadth of the treatment it gave to that critical area of education and training, the pathways from compulsory schooling to lifelong learning. It continues to increasingly challenge us.